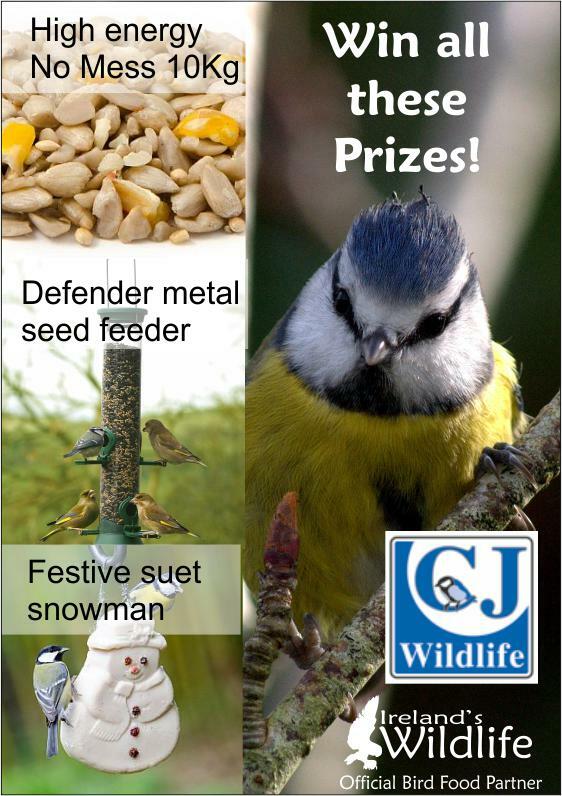 Thanks to our friends over at CJ Wildlife (Ireland’s Wildlife’s Official Bird Food Partner) we have a fabulous prize to give away to one lucky winner at the end of the week. To enter all you have to do is fill in your details and answer a simple bird related question on this competition entry form or use the embedded form below. Entries are open until 10am on Friday, when we’ll draw a winner at random from all of the correct answers. Best of luck… and don’t forget to share with all your friends on Facebook, Twitter and elsewhere.